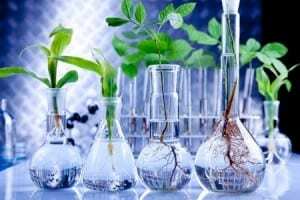 The U.S. Department of Agriculture’s (USDA) National Institute of Food and Agriculture (NIFA) announced $18 million in available funding to foster the next generation of agricultural science professionals. Funding is made through NIFA’s Agriculture and Food Research Initiative (AFRI), authorized by the 2014 Farm Bill. fellowships for predoctoral and postdoctoral candidates. Applications may only be submitted by eligible entities. Eligibility is linked to the project type. See the request for applications for details. Among recent projects, the University of California Santa Cruz created a research and mentoring fellowship program for underrepresented undergraduate students in agricultural-related fields. A recent postdoctoral fellowship at the University of Houston used a combination of mathematical methods to evaluate the interplay of host and pathogen genetics. The postdoctoral fellow is now an assistant professor at a major research university.